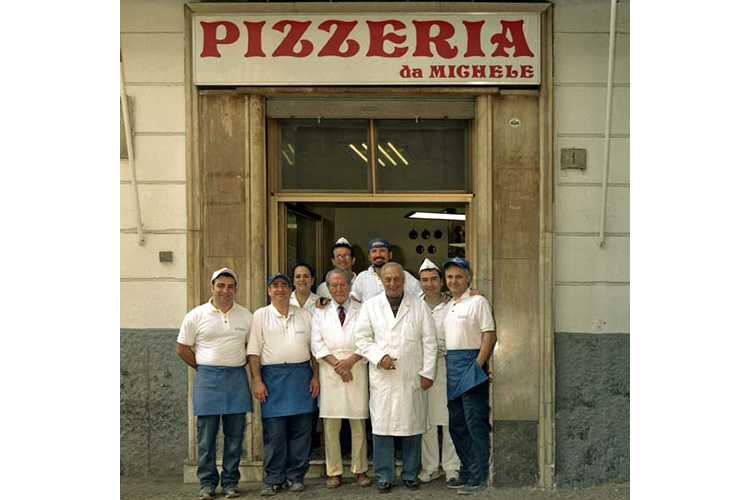 THE TRADEMARK CASE OF "THE PIZZERIA DA MICHELE"
Recently, the specialized IP section of the Court of Naples dealt with the case of the heirs of Michele Condurro, founder of the Pizzeria “Da Michele” and who claimed rights on the homonymous brand. Michele Condurro founded the pizzeria that carries his name located in the popular Forcella neighborhood in Naples back in 1870 and over the years his pizza has become so famous that it was also mentioned by Julia Roberts in the movie Eat, Pray love. Recently, the heirs of Michele Condurro have been discussing the right to use the "Da Michele" brand that has become the object of contention by a branch of the family that claimed the right to use it for the opening of several branches in Italy and all 'abroad. Similar cases have occurred with the pizza maker Gino Sorbillo and is also happening with the brand SaldeRiso, which sees the award-winning confectioner Salvatore de Riso in court against his brother. The case started back in 2016 after the registration of the trademark and Internet domains, in for the recognition and exclusive use of the name "Da Michele". Finally, the Court ruled that the exclusive right to use the name throughout the country and internationally belongs to the Condurro heirs who manage the original Pizzeria Da Michele based in Forcella and has imposed the removal of signs, domains and trademarks. The ruling has finally recognized that the patronymic has specific individualizing function, which has been strengthened over time by maintaining a high quality standard, giving rise to a famous trademark and the rights to use the brand must be granted to the person who first adopted and used it. Is Rubik's Cube a Trademark? According to the judgment of 25 November 2014 (Case T-450/09) of the Court of Justice of the European Union, "the registration of the shape of the Rubik's Cube as a EU trademark is valid. The graphical representation of the cube does not involve a technical solution that prevents it to be protected as a trademark. " The ruling solves a dispute arose as a result a registration request in front of the the application filed in 1996, by Seven Towns a British company that manages the intellectual property rights related to the "Rubik's Cube" - for the registration as a Community trade mark of the three-dimensional shape of the cube to "puzzle in three dimensions. In 1999 Seven Towns registered the famous cubes as a European trade mark. In 2006 Simba Toy, a German company that manufactures toys, filed for declaration of invalidity of the trademark. According to the Court, the thick black lines that are part of that structure and appearing on the representations of the cube drawing a grid within them do not make any reference to a rotation capacity of the individual elements of the cube and, therefore, are not a technical function. Indeed, the ability of rotation of the vertical and horizontal bands of the Rubik's cube is not derived from or black lines nor the grid structure, but by an internal mechanism of the cube that is invisible on its graphical representations. Consequently, the registration of the shape of the Rubik's Cube as a EU trademark can not be denied on the ground that it incorporates a technical function. The Court also notes that the mark in question does not entitle the owner to prevent third parties to market all kinds of puzzles in three dimensions with a capacity of rotation, since the monopoly of commercialization of the owner is limited to the puzzle three dimensions having the shape of a cube whose faces are posted grid structure. Finally, the Court considers that the cubic structure grid stand considerably from the representations of other puzzles in three dimensions on the market. This structure is therefore equipped with a distinctive character that enables consumers to identify the producer of the goods for which the mark is registered. The ruling can now be appealed before the Court of Justice within two months of its service.